Warming up at Bath Abbey. 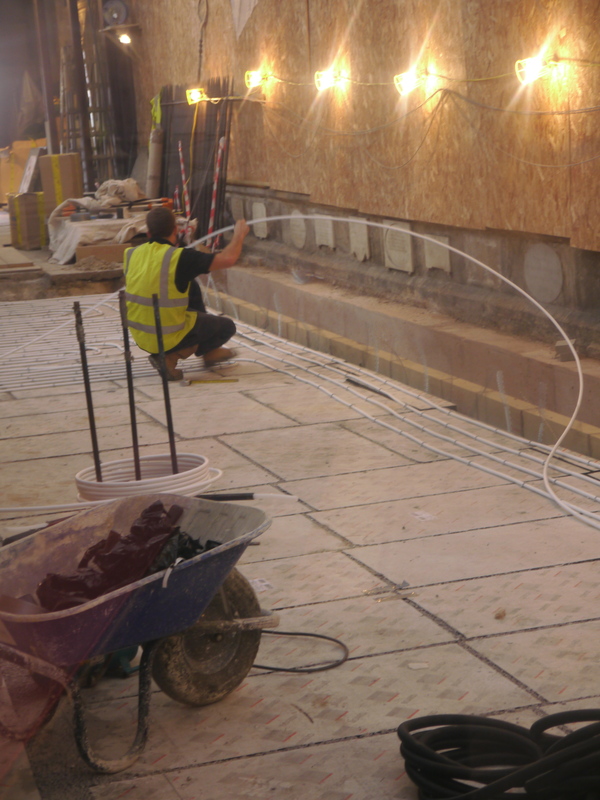 Looks like that trial patch of under-floor heating is now being laid on the north side of the nave within Bath Abbey. It is where local building firm Emery’s have been busy excavating and then filling the voids recently discovered below the Abbey floor. All human remains encountered are going to be re-interred after a blessing and now the heating system is going in they will be able to restore many of the original memorial floor stones before trialling the heating system. 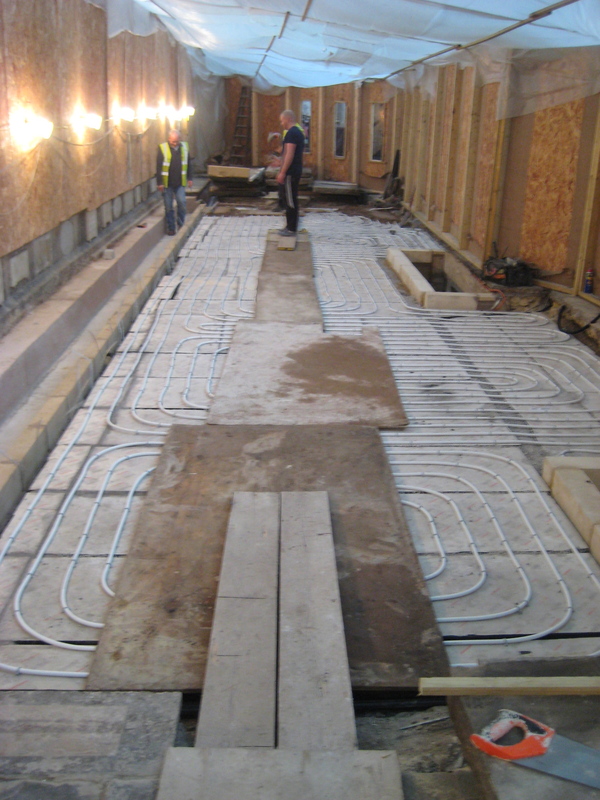 This operation is going to be repeated across the whole Abbey floor if an application to the Heritage Lottery fund is successful and it is hoped to run the central heating system from the thermal waters of the Roman Baths nearby. This spring – one of three in the city – currently runs to waste in the River Avon after supplying the baths complex.